Welcome to our website! 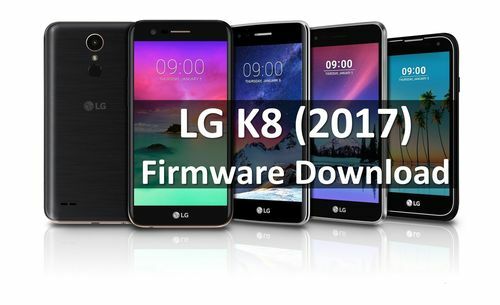 Here you can find LG K8 (2017) firmware and tutorial how to install it. If you are interested in firmware, then probably you already have LG K8 (2017), or maybe you want to help your girlfriend to fix software errors. Anyway, below you can find everything you need for flashing. LG K8 (2017) is budget smartphone from South Korean manufacturer. However, it offers some interestings features, such as latest Android 7.0 Nougat operating system, 13MP rear camera and 5 inch display. The main 13-megapixel camera with aperture F2.2 will help you capture the best moments of your life. Thanks to flash, the photos will look bright and crisp. Also, the smartphone has curved and smooth lines of 2.5D-glass, so it is comfortable to hold in hand. The large 5-inch HD-display allows to enjoy different content, such as photos and videos. 4-core processor will help you solve all necessary tasks during the day. A removable 2500 mAh battery will last long enough to provide you with a busy day without pauses. Let’s return to the main topic of this article - LG K8 (2017) firmware. So, you need .kdz file to install firmware. If you don’t hear about it before, then you should read our tutorial how to install kdz firmware. If you have any questions, write in comments below. Now, use the link below to download LG K8 (2017) firmware. All firmware are Android 7.0 Nougat for different regions, such as Europe, USA, Asia and others. Be sure to install firmware for your region. Thank you! You can add this article to bookmarks, perhaps you will need to flash smartphone once again. Also, we will try to update the article when new LG K8 (2017) firmware will be released.